It allows members/connects to vent and have their say in a whole range of topics and interact with each other in the whole world through a wide range of mediums such as messaging, videos, photos, links, social groups. 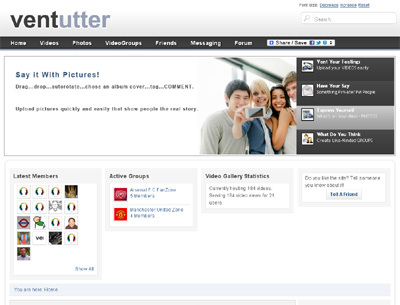 Advanced photo, video and link sharing features enable online users to share photos, links and videos instantly. It offers a wide range of advanced features that lets members/connects create and view profiles, share links, pictures and videos, interact with each other through messaging and many more. Another astounding feature of this platform is that members/connects can brand their profiles using apps that suites the member/connect.